Providing Quality Commercial, Industrial and Residential Site Preparation. 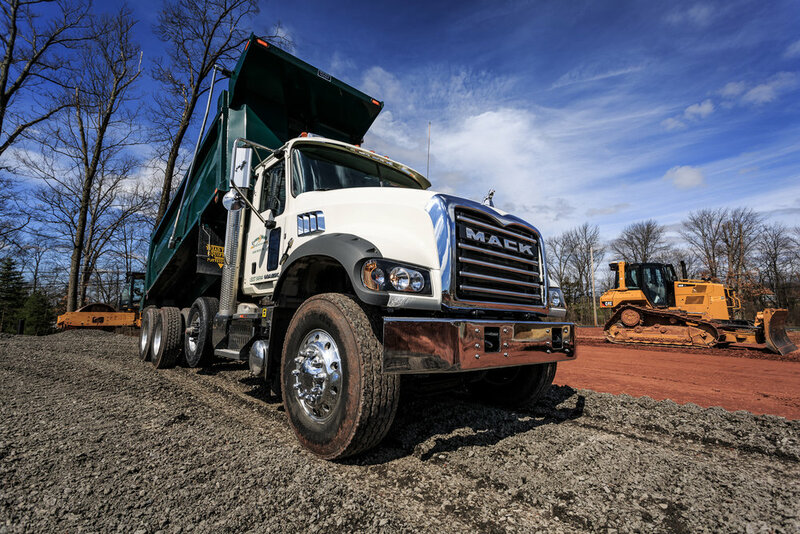 Headquartered in Honey Brook, PA with a Paving division in East Earl, PA, Lyons & Hohl provides quality site construction in Chester, Berks, Lancaster, Delaware, Bucks, and Montgomery counties. In business since 1978 we have made a name for ourselves by delivering sites to out clients that are completed the right way and on time. Our services include earthmoving, pipe and utility installation, grading, street and road construction, and paving. Our customers are residential developers, commercial and industrial property owners, and contractors throughout Southeastern Pennsylvania. In house Professional Land Surveyor with 30 years experience. Combining this experience and the use of up to date technology, results in ensuring our crews stay as productive as possible and remain on schedule. In house surveying department , led by Professional Land Surveyor, Les Giersch. Over __ years of experience in construction stakeout in our survey department. 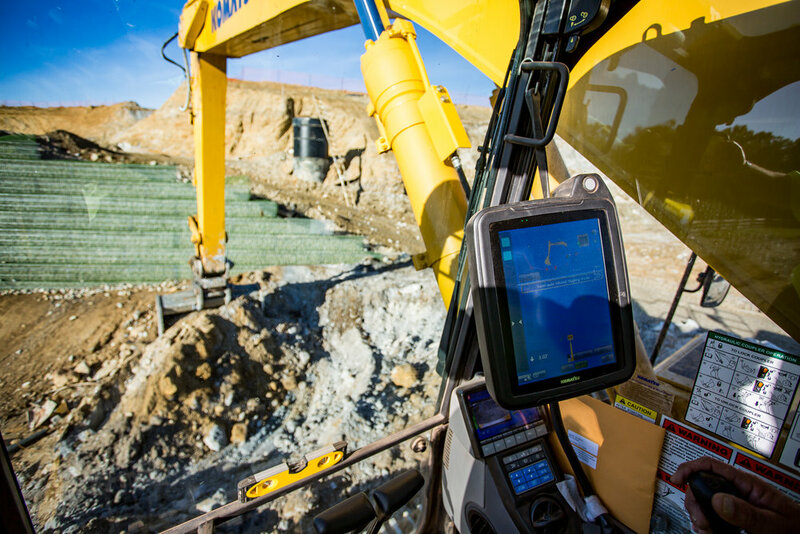 Use of up to date technology, including integrated GPS systems in the newer equipment. 3D Models are completed in house by our CAD Operator; these models are then sent to operators in the equipment, resulting in the jobs being completed as accurately and efficiently as possible. One of the best fleets of equipment in the area, including many late model Caterpillar pieces. We continue to upgrade as new integrated technology comes out. Highly experienced operators, many whom have over 15 year experience operating a variety of equipment. In house maintenance and transport departments allows us to keep downtime at a minimum and the ability to ensure that each job has the right piece of equipment there when it is needed. Underground utility installation is the where we got our start. Our numerous pipe crews utilize our late model equipment and our time proven methods to install utilities in the most efficient and safe manner. Lyons & Hohl started as primarily a utility installation company, many years of knowledge has continued to our current pipe crews who use time tested methods to install pipe in a safe and efficient manner. Each pipe crew is equipped with proper equipment and material to get the job done right the first time. Top level relationship with various vendors equate to better prices. All of our pipe crews go through extensive safety training including OSHA Compitant Person, trench safety, confined space and first aid/CPR. Please visit our Paving Division website for all of your Asphalt Paving needs. Experienced Team | Lyons & Hohl Project Managers have over 60 combined years in the site construction business. We take pride on our long term employees, over 45% of employees have been with us for over 10 years. Safety | Safety is the key to successful projects, and we remain pro-active with our in house safety program. Getting everyone involved with our safety committee, helps to reinforce to our employees the importance of having a safe working environment. Technology | Using the current CAD programs available allows us to take the plans from the engineers and generate 3D models that are then sent to our equipment. This means the more productive equipment, and projects compled on time.